The collapsible flyers fold up and store conveniently in the small pouch . This unique flying toy is made of 190 T polyester wrapped over a stainless steel rim . Large area to print your logo and company name. 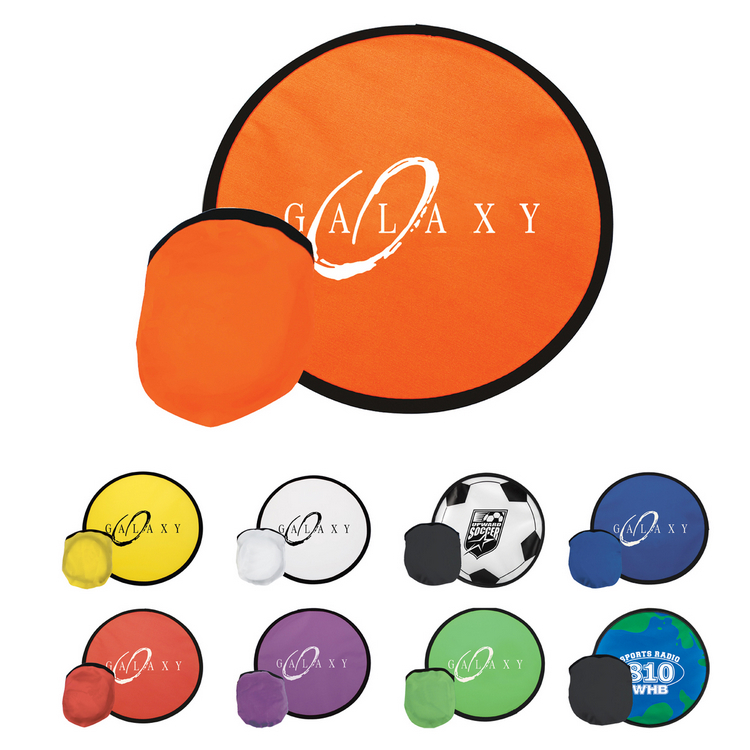 Printing your logo both on flying disc and pouch. Imprint Size: 7" x 7"
Package: 1 pc/poly bag, 1000 pcs/ctn, 31 lbs/ctn.